Educación Dr. Ana Fernández Guardiola MD licenced in Medicine and Surgery at Barcelona University in 1981, specializing in Pediatric Ophthalmology. Formed as Strabology Specialist between 1981 and 1982 in Hospital Creu Roja in Barcelona. 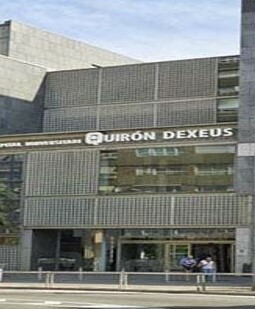 Experiencia profesional Part of the Ophthalmology Department in Hospital Sant Joan de Deu Barcelona between 1988 until 2014 creating then the first Pediatric Tissue Bank in colaboration with the Transplant Service Foundation (Hosp Clinic of Barcelona) in 2009. Is now Chief of the Pediatric and Strabology Unit in OMIQ .